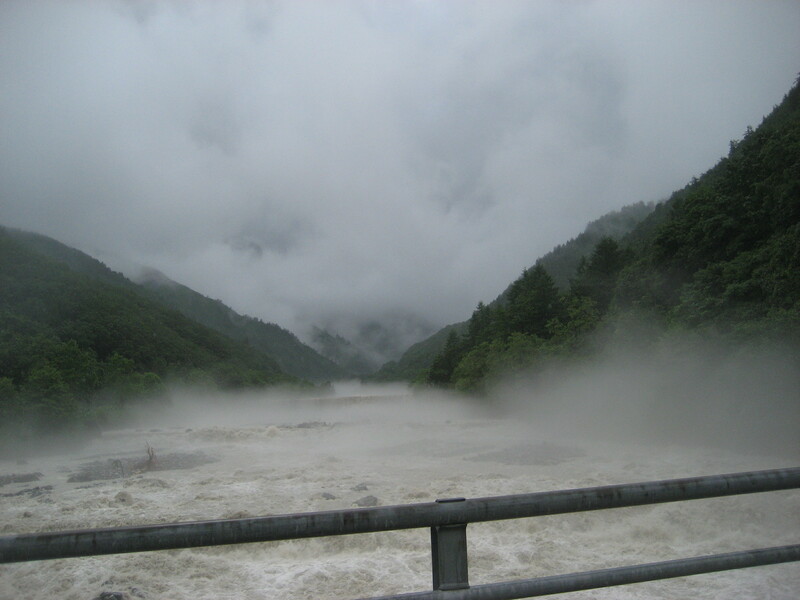 Summer time in Hakuba can bring on some great rain events. We get some serious rain storms coming through Hakuba at the start and end of summer time here. The latest was a big one that closed roads and stopped the train to the coast. The amount of water coming down the rivers was amazing and many people were out and about taking photos on all of the bridges around town. The river above is easy to cross over in the winter and a lot of the time it is totally covered in snow so you are able to ski across it after you have come down the North Face of Happo. 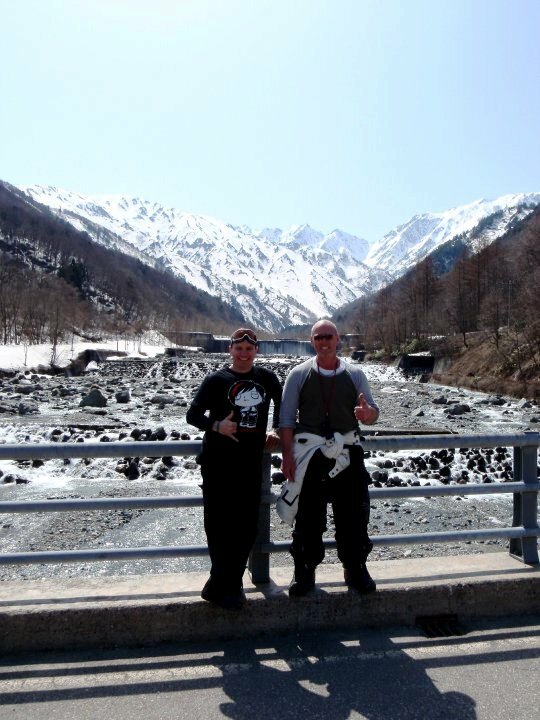 This entry was posted in Backcountry, Hakuba and tagged Hakuba, Japan, Nagano, News, photos, summer. Bookmark the permalink.